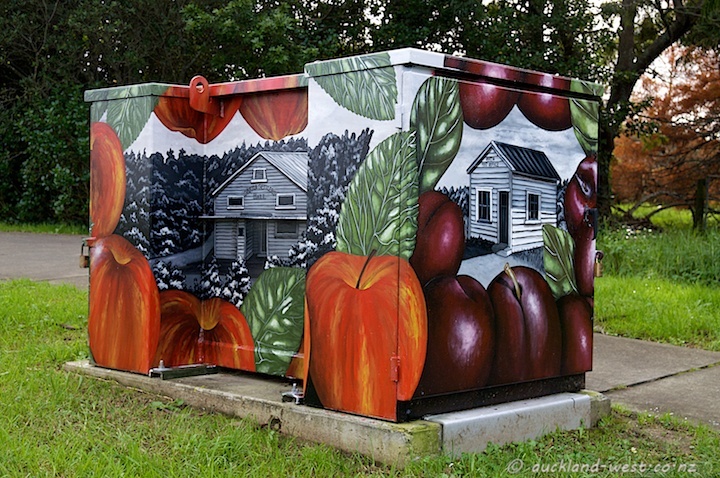 This transformer is at the corner of Henderson Valley Road and Corban Avenue in Henderson. 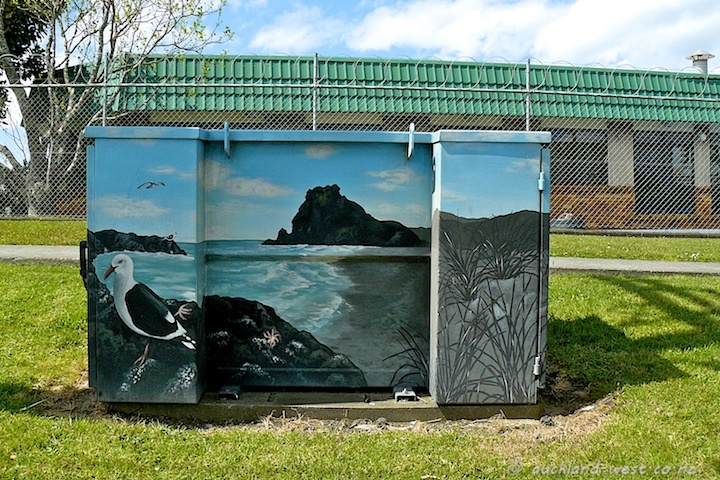 Painted by Mandy Patmore, it shows a view of Piha’s Lion Rock from the South, together with gulls, rocks, starfish, and dune vegetation. 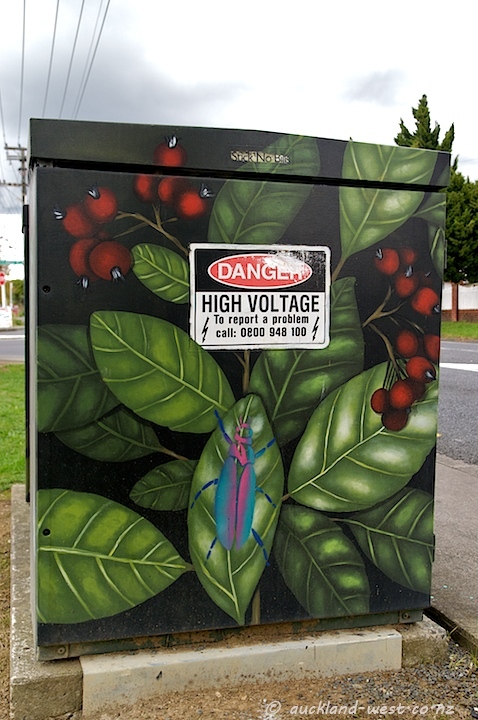 This transformer stands at the intersection of Don Buck and Royal Roads, Massey (map). 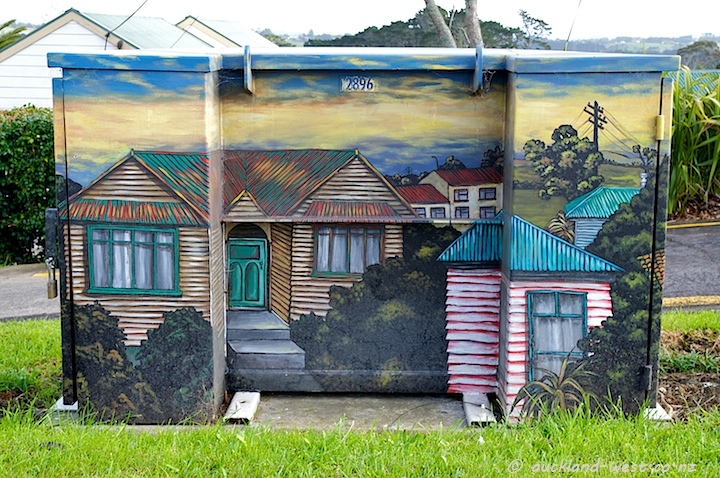 It shows some old wooden weatherboard houses of the type that may have been common in the area in times past. 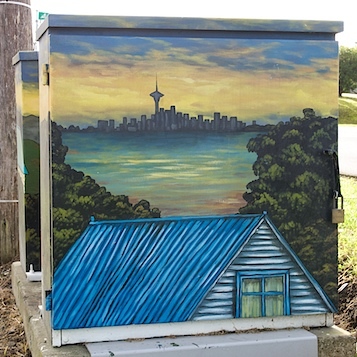 Also shown is a view of the City of Auckland across the upper harbour. 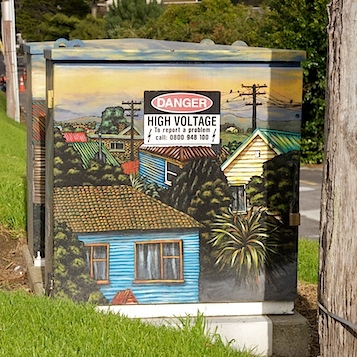 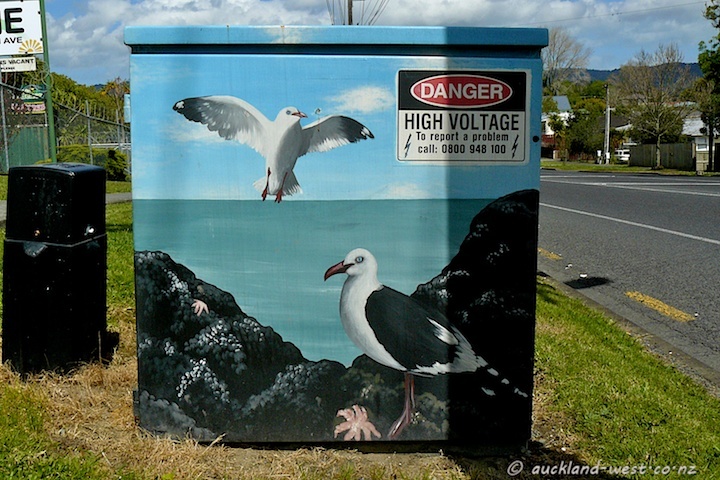 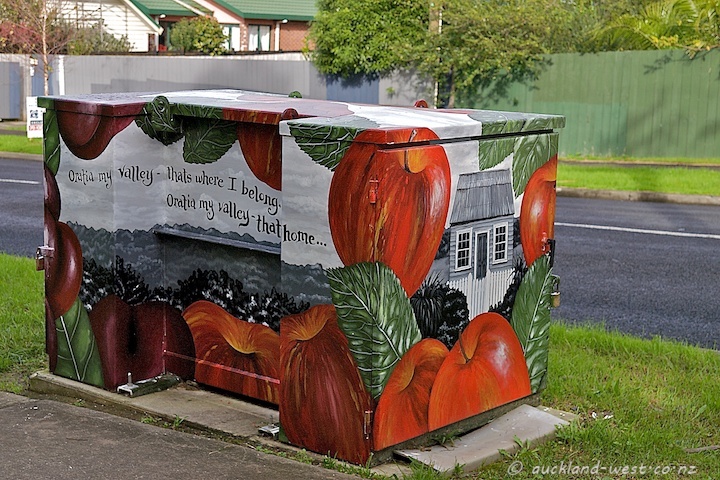 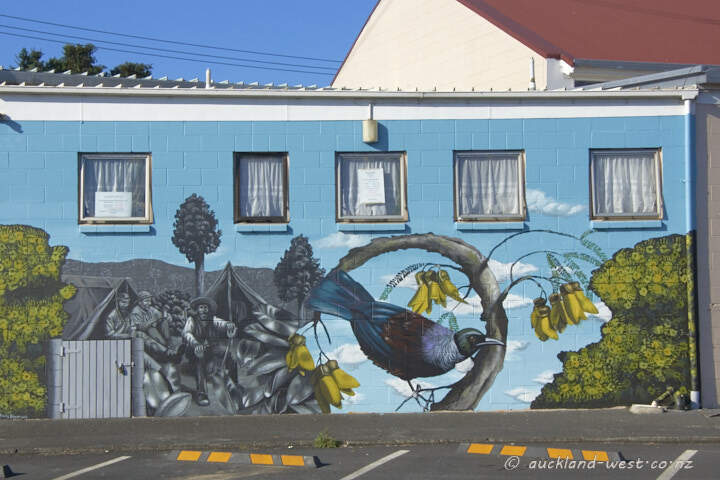 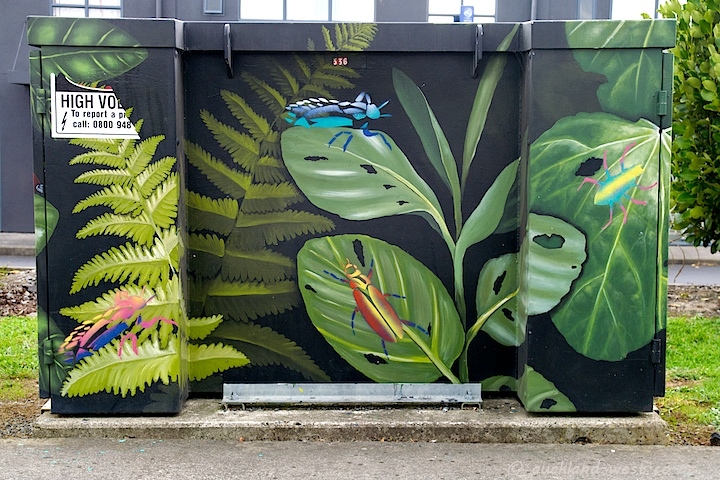 There are several other examples of painted boxes where artists have involved local youths in the process – a great concept!